Pogledajte najbolje fotografije dana iz svijeta za dan 30. maj 2018. godine. 1 Russian reporter Arkady Babchenko reacts during a news conference at the Ukrainian Security Service in Kyiv. Babchenko appeared at the news conference in the Ukrainian capital less than 24 hours after police reported he had been shot and killed at his home in the city. 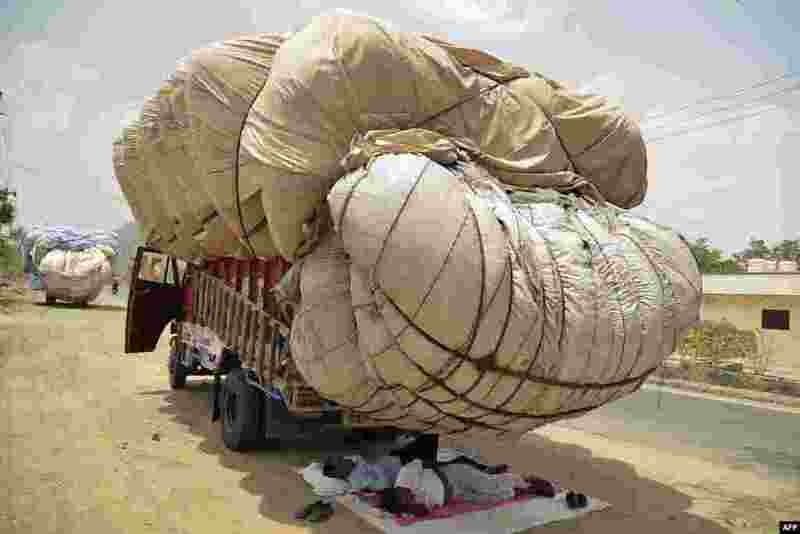 2 Men sleep in the shadow of a cloth container of hay on a truck on a hot summer day in Ajmer in the western state of Rajasthan, India. 3 Queen Maxima of the Netherlands holds a tiffin as she poses with Dabbawalas, also known as tiffin carriers, during their meeting in Mumbai, India. 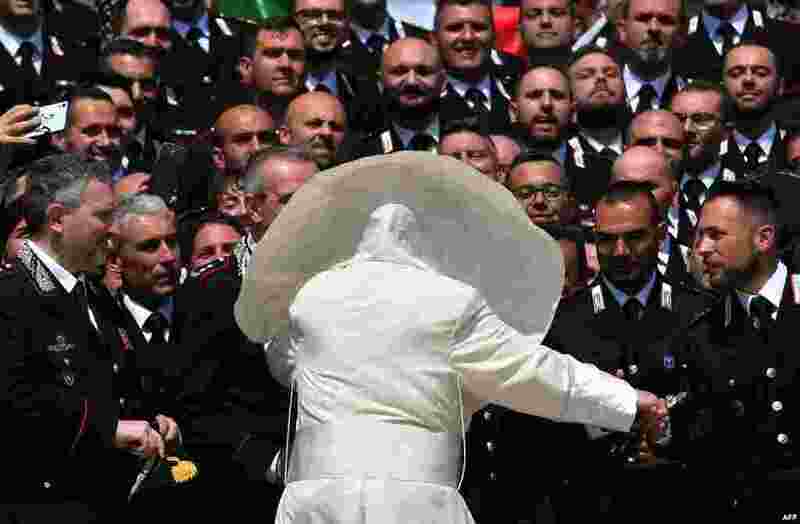 4 A wind blows Pope Francis' mantle as he meets the Carabinieri during the general audience in Saint Peter's Square at the Vatican.